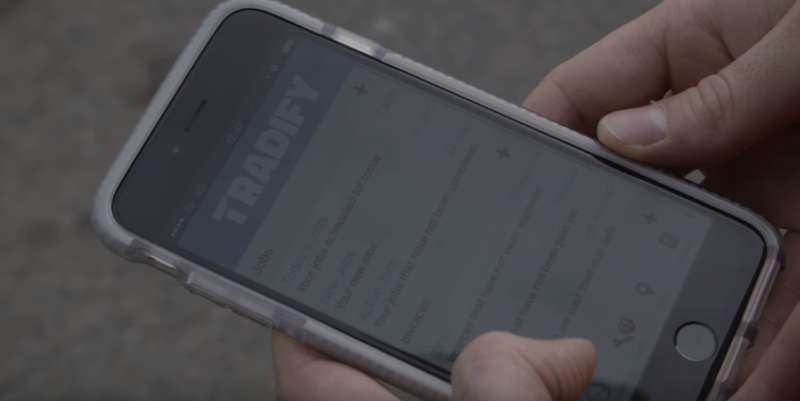 Tradify is a job management software, the app of choice for thousands of tradies, including electricians, plumbing, HVAC, building, construction & trade. 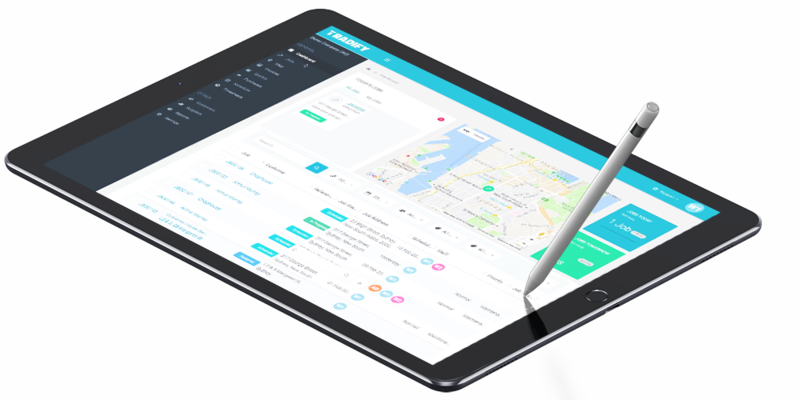 Tradify is a complete job management tool for trade and service based businesses – electricians, plumbers, painting, IT, appliance repair, landscaping and more. Track every job from Quote to Invoice, all easily accessible by field and office staff. Leave different elaborate spreadsheets that have evolved over years and require so much time and effort for all of your staff to use and be trained in. Track time on site, see what each staff member is up to with real time status tracking, dispatch team members with ease. Manage your workforce smartly with easy employee scheduling, consolidate all your quotes, emails, documents all in one place. Push and reconcile sales invoices to your accounting system or sync contacts, avoid paperwork and risk of double entry. Import supplier price lists for up to date costs, create kits for rapid quoting, compare quoted and actual job costs. Invoice right after the job, transform timesheets and receipts into invoices, send invoices directly to Xero or MYOB. Add images, quotes, notes from the mobile app. Sign quotes and job sheets digitally. Quote and invoice jobs on the go. Are you finding yourself spending too much time entering the same information into different spreadsheets, writing down on paper and other documents? 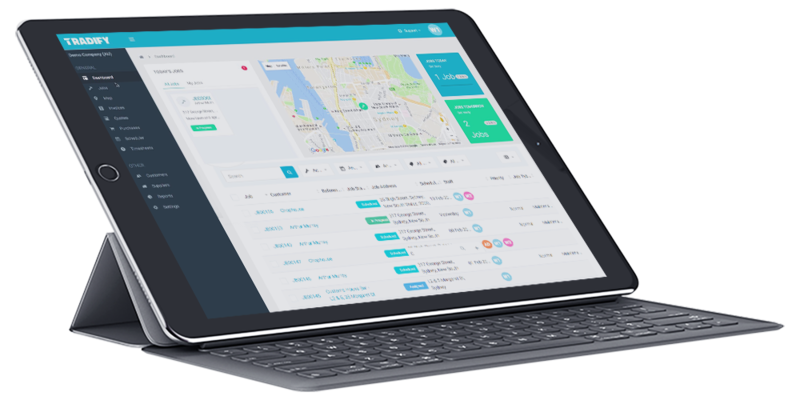 With Tradify you can now create a professional looking quote, track quotes, transfer them to jobs, assign to employees and track time and materials. Ease of use is always a big factor in choosing tools of trade. That’s why thousands of tradies trust Tradify. You don’t have patience for apps that do not deliver. Whether you’re an electrician, plumber, builder, HVAC technician, locksmith, landscaper, or handyperson, Tradify can help you build a successful business. Track everything, from quoting a job to inputting time and materials into jobs to invoicing a job. Working in real time is fantastic. Allocate jobs online and on site techs can report back using the app. Get your invoices out to your customers quickly, therefore getting paid faster. The integration with accounting programs reduces lost time by sitting down doing admin work and lets you get on with what you do best. Discover why thousands of tradies in Australia and New Zealand trust Tradify. This cloud based solution is everything your small business needs. It has all the features necessary to fully customise it to suit your trade business. 1. Can I attach files to a Job, Invoice, Quote, Purchase Order or Bill? Yes, files can be attached to Jobs, Invoices, Quotes, Purchase Orders and Bills. They can be attached from the Web Console or from a Mobile device. 2. Can I produce a single invoice for multiple Jobs for the same Customer? Yes. Tradify can do Bulk Invoicing or produce a single invoice for multiple jobs for the same customer. Just check each job you wish to invoice and produce one invoice for all jobs. Each job will include date, details and cash amount. 3. Can I set up Health and Safety Check Lists to be completed in Tradify? Yes, but if you need a more comprehensive solution, we recommend the iAuditor tool that can provide certificates that are legally recognisable statements. These certificates can be exported as PDF and attached to jobs in Tradify. 4. Can I keep track of warranty expiry dates on equipment installed? Yes. We recommend using “custom fields” option on Jobs to address this requirements. You can enter data such as serial number, warranty expiry, access code, serial number, customer source, customer type and much more. 5. Can I track staff location via GPS? Yes. Staff’s location is reported by the Tradify mobile app that is installed, running and logged in as that user on their mobile device. Give as a call if you need immediate help with Tradify.